Nine repeats Schapelle telemovie -on her first day home. Nine is giving Schapelle Corby a welcome home “gift” with a repeat of its 2014 telemovie Schapelle, starring Krew Boylan. 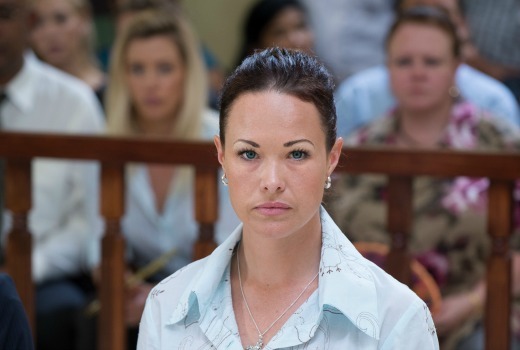 It screens at 10pm Sunday, the same day Corby is expected home following her incarceration in Bali. Directed by Khoa Do, this also saw Denise Roberts nominated for both an AACTA and Logie for her role as mother Ros Corby plus Jacinta Stapleton, Colin Friels, Les Chantery, Vince Colosimo, Francis Greenslade and Michael Croaker. It originally aired against Seven’s INXS telemovie on the eve of her release from Kerobokan Prison, and at the top of the 2014 ratings year, after being filmed in secret on the Gold Coast. Corby’s expected return on Sunday is bound to reignite another media flurry. Tastless decision by 9 Give her a break! Didn’t watch it the first time, probably not going to watch it this time. I remember when it first aired what a huuuge mistake by nine to rush and change air date and air it against inxs which from memory got well over 2m viewers. Biggest programming blunder of 2014. In saying that I will probably watch it again. Move on….nothing to see here….How long is it all going to bed dragged out.. It is a telemovie…supposedly about her….she had nothing to do with it………read past the headline…..